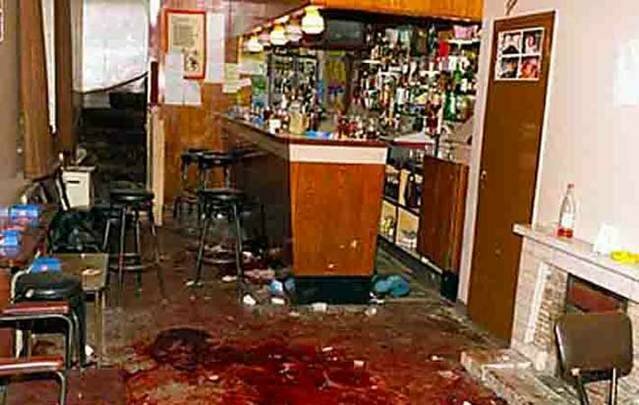 Twenty-four years after masked gunmen sprayed automatic gunfire into the Heights Bar, Loughinisland in Northern Ireland, killing six football fans, the Police Service of Northern Ireland (PSNI) arrested two journalists who have spent years investigating the atrocity. The two, Trevor Birney and Barry McCaffrey, were questioned for 14 hours, August 31, before being released on bail. Police also searched two houses and offices where the Detail investigative news site, media company Below The Radar and documentary producer Fine Point Films are based. Large numbers of phones, computers and documents were seized. At the time of writing, police have been legally prevented from immediately trawling through the seized material. Birney is a former current affairs editor of Ulster Television, and has produced a number of historical and political biographies and documentaries. He has won media awards and was named Northern Ireland’s broadcaster of the year in 2002. McCaffrey has spent more than a decade on Loughinisland and has been writing and reporting on Irish current affairs for longer. In 2013, he was named Northern Ireland’s digital journalist of the year. The raid and arrests came ten months after, and relate directly to, the release last year by Fine Point Films of a powerful documentary by US director Alex Gibney on the killings. 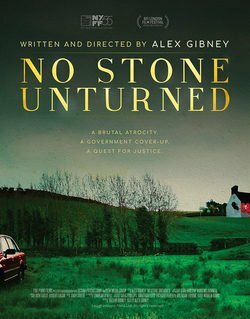 No Stone Unturned was produced by Birney and based on research by both Birney and McCaffrey. The film places the killings in the context of British forces’ countless clandestine operations during the so-called “Troubles” (approximately 1968 to 1998) and notes numerous failings in the police investigation. The film identified for the first time the loyalist Ulster Volunteer Force (UVF) killers long suspected of the murders. Gorman McMullan was named as the getaway driver. 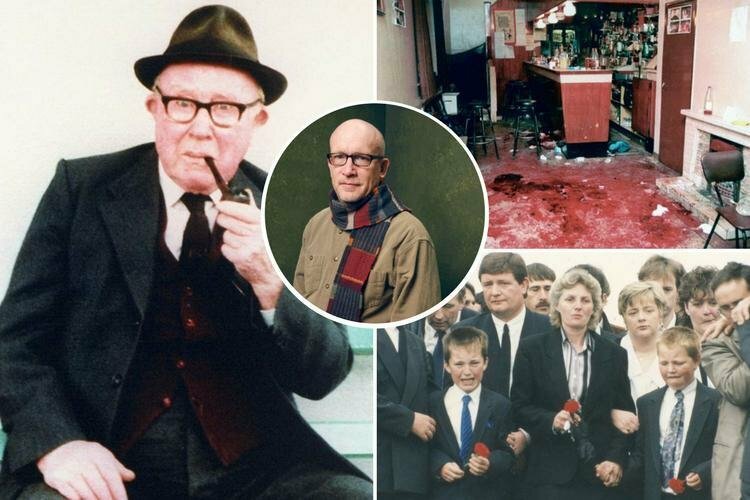 McMullan, who had previously been identified by Belfast-based Sunday Life as involved in the killings, once described the notorious loyalist assassination and torture gang, the Shankhill Butchers as a “decent bunch of lads”. Ronnie Hawthorne, a local businessman, was named as pulling the trigger on the Czech-made VZ58 assault rifle. Hawthorne, who had been arrested in 1994 but never charged, was identified from documents, including a letter from his wife Hilary, held by the Police Ombudsman of Northern Ireland and shown in the film. 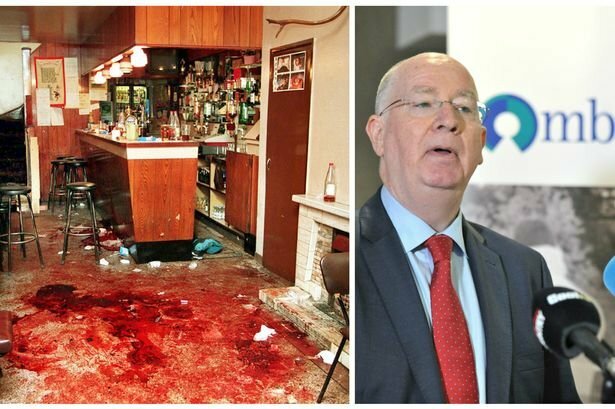 Gibney’s film also alleged, via testimony from retired a police officer, Jimmy Binns, that during his arrest, one of Binns’ colleagues attempted to pressure Hawthorne into assassinating a suspected member of the Irish Republican Army (IRA). A third member of the UVF gang, Alan Taylor, has not been seen for many years. The film repeated an allegation that one of the attackers, which one is not stated, was a police informer who had told his handlers of the planned assault, but claimed that it had been called off due to vehicle problems. No Stone Unturned also reviewed the extraordinary failings in the police investigation leading to key items of evidence, such as the Triumph Acclaim getaway car, being destroyed without any forensic evidence being collected. Key records relating to the case, such as those of suspect McMullan’s police interviews, were also destroyed because of alleged and convenient “asbestos contamination”. In 2016, the current ombudsman, Michael Maguire(pictured above) produced a devastating but anonymised report on the case on which No Stone Unturned is also based. In 165 pages, Maguire sketched out British Army and Royal Ulster Constabulary (RUC) Special Branch oversight of UVF efforts to import huge amounts of weaponry in 1987 and 1988 from South Africa. The serial number on the gun used at Loughinisland, found abandoned in a field near the murder scene, was consecutive with similar weapons found in the South African cache. 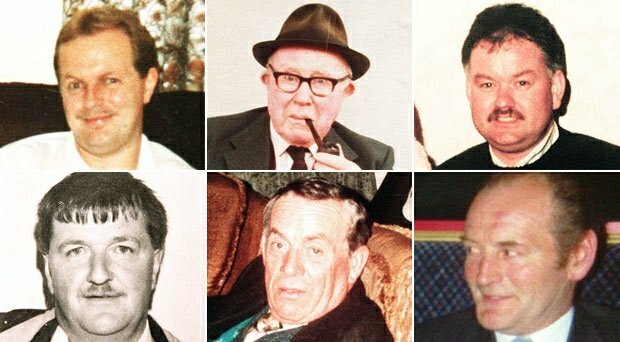 Despite concluding that “…collusion was a significant feature of the Loughinisland murders”, individuals mentioned in the report were referred to by letters of the alphabet while police officers were referred to by consecutive numbers. No Stone Unturned, however, named both attackers and one of implicated former police officers. The film quoted from and showed footage of documents held by the Police Ombudsman for Northern Ireland (PONI) allowing Hawthorne and others to be identified. It is these original documents that are the source of the police campaign against McCaffrey and Birney. The PSNI enlisted Durham Police to investigate an alleged theft from PONI offices which has now been used as a pretext to arrest and question Birney and McCaffrey. The arrests were immediately condemned. On his release, McCaffrey denounced the arrests as “an attack on the press, everybody should realise. It’s us today, tomorrow it could be you”. Alex Gibney, who has also won awards for his documentaries, tweeted “Rather than reopen a purposefully bungled murder investigation, the PSNI moves to arrest those who revealed police corruption and incompetence”. Maguire’s report has been the subject of ferocious legal battles since it was published in 2016. Late 2017, in a case brought by two retired police officers, Northern Ireland judge Bernard McCloskey ruled that that authors of the 2016 report were “careless, thoughtless and inattentive in the language and structuring of the document” and that the conclusions reached were unsustainable in law. The former police officers wanted the report quashed. McCloskey, however, declined immediately to do so. Before any further action was taken, however, McCloskey himself was forced to stand aside. 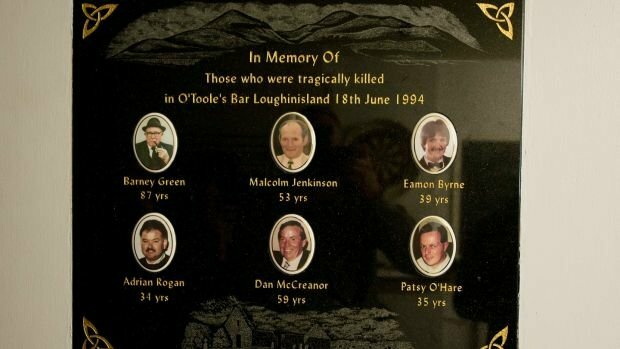 A case brought by the ombudsman and the Loughinisland relatives’ families early in 2018 requested McCloskey recuse himself on the basis that he had, in 2002, been counsel to one of the same police officers during efforts to overturn another PONI report, this time Nuala O’Loan’s report into the 1999 Omagh atrocity. In March, however, the PONI was forced to alter two paragraphs in the 2016 report to remove criticisms of the role of one of the retired police, an RUC commander also called Ronald Hawthorne, in relation to the storage and destruction of the Triumph Acclaim. The PONI is also at the centre of another case, this time brought by one of the victims’ relatives. 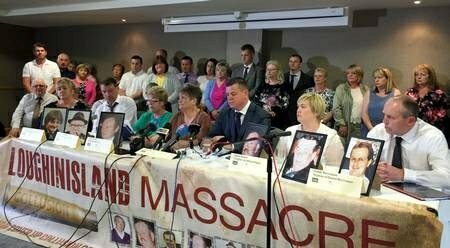 In July, Marie Byrne, whose husband Eamon was killed, launched an action in the Belfast High Court against the PONI, claiming damages for negligence over a 2011 report by Michael Maguire’s predecessor, Al Hutchinson, which, although critical of the police, refused to accept collusion had taken place. With many thanks to the: World Socialist Web Site and written by Steve James, thankyou for the original posting.